When the study added a requirement that people pay an activation fee of $5 to $100, nearly a quarter of the subjects still had an interest in responding. Consumers who perceive the benefits of large sums of money promised in mass marketing scams (MMS) are more likely to discount the risks and fall prey to perpetrators, according to new research co-authored by the University of Plymouth. The study published in the Journal of Experimental Psychology, also shows that less-educated consumers are more likely to be susceptible to the opportunity for a large reward. However, the presence of an activation fee helped reduce intention to comply with the scam. Led by Scripps College, USA, the analysis of over 500 adults sampled over the course of two experiments was designed to identify the underlying psychological factors involved in responding to MMS. In the study, based on 25 real scam solicitations that were successful at ‘hooking the victim’ in and around Los Angeles, USA, the chance to win a large sum of money such as $25,000 influenced the perceived risks of participation – including the possibility of identity theft, and further persuasive tactics by scammers. The study also explored how activation fees (e.g. 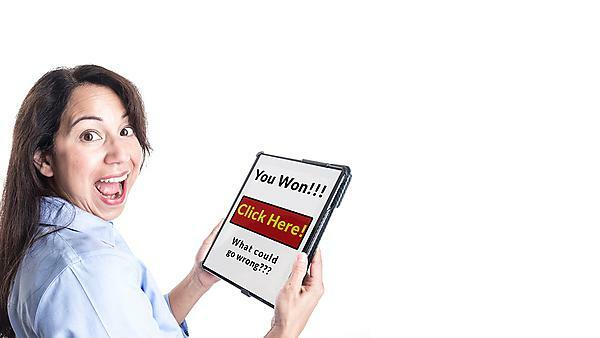 pay $5 and you can claim your prize) might impact interest in responding to the scams. The researchers found the most important factor in deciding whether to respond was the person’s assessment of the risk versus the potential reward. Almost half of their subjects indicated an interest in responding, which was more than researchers had anticipated. Among the demographic variables, age and education independently predicted responses after controlling for the activation fee, such that older adults and highly educated participants were less likely to 'make the call,' and high activation fees deterred individuals reporting a high likelihood to respond. MMS represents one of the most rapidly growing crimes, costing billions of dollars worldwide and extracting an enormous toll on individuals who fall prey to sophisticated MMS techniques. Professor Wood, a leading scholar on elder abuse, also highlighted the need for prevention and education. The full study is entitled 'Call to claim your prize: Perceived benefits and risk drive intention to comply in a mass marketing scam and available to view in the Journal of Experimental Psychology' (doi: 10.1037/xap0000167). The study was co-authored by Stacey Wood, Scripps College; Pi-Ju Liu, University of California, San Francisco; Yaniv Hanoch, University of Plymouth; and Patricia M. Xi and Lukas Klapatch, Claremont Graduate University.